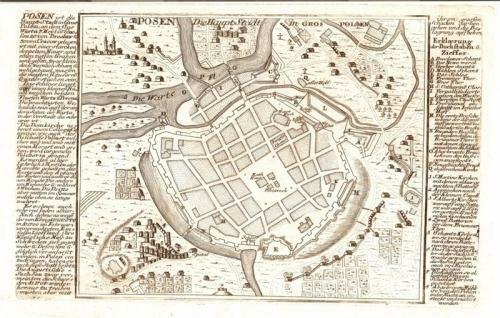 A fine engraving of Posen (Poznan) the Capital of the Province of Greater Poland. Explanitory text on either side of the engraving. On the death of Stridbeck the plates were bought up by the Bodenehr family who reissued the engraving with their signature. Engravings by Stridbeck are scarce.